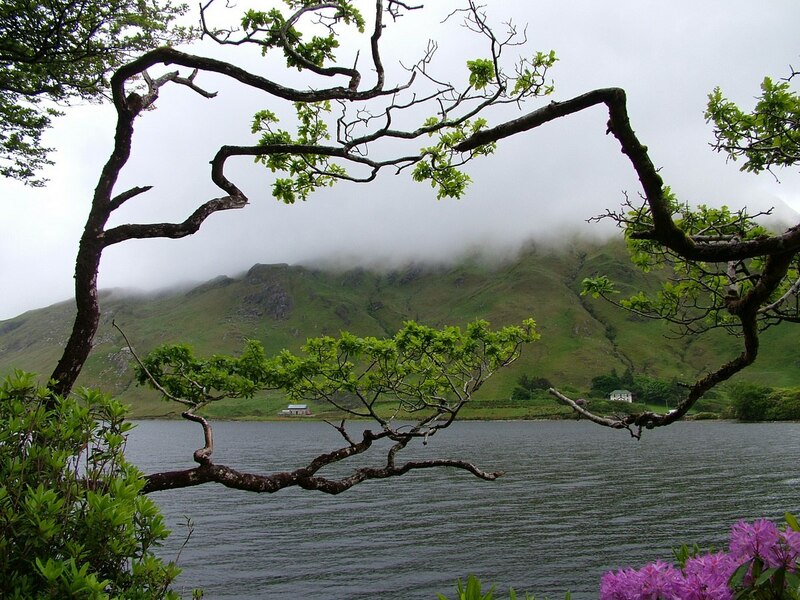 A slow tour of the Connemara region in County Galway was our aim after leaving County Mayo. Its mix of blanket bogs, lakes, mountains and moorlands is reputed to be awe-inspiring and unspoilt, a perfect example of natural beauty. Bob and I were off the sheets early to an already wet morning, and rain was expected to settle in for the day. 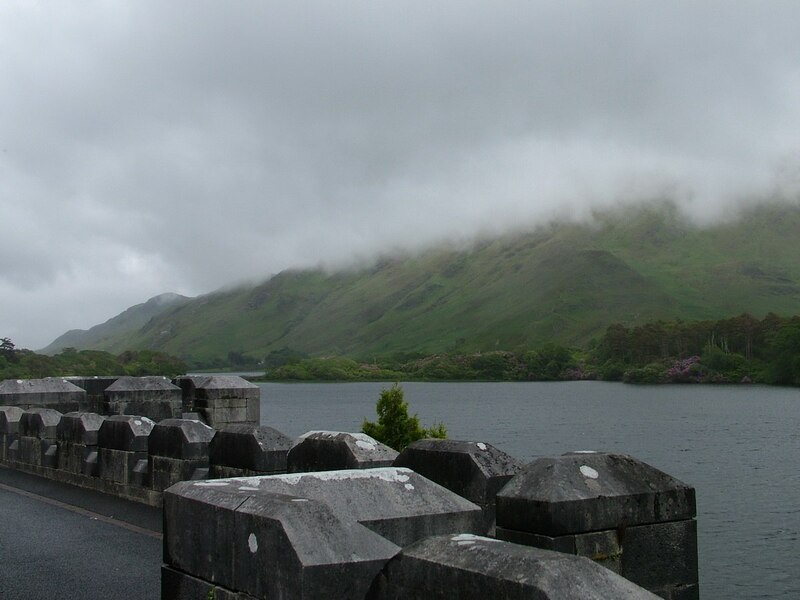 Our route to Ros an Mhil (Rossaveal) was undecided, but we intended to catch a ferryboat at noon, that is until we rounded a corner and were brought up short by the jaw-dropping beauty of Kylemore Abbey. 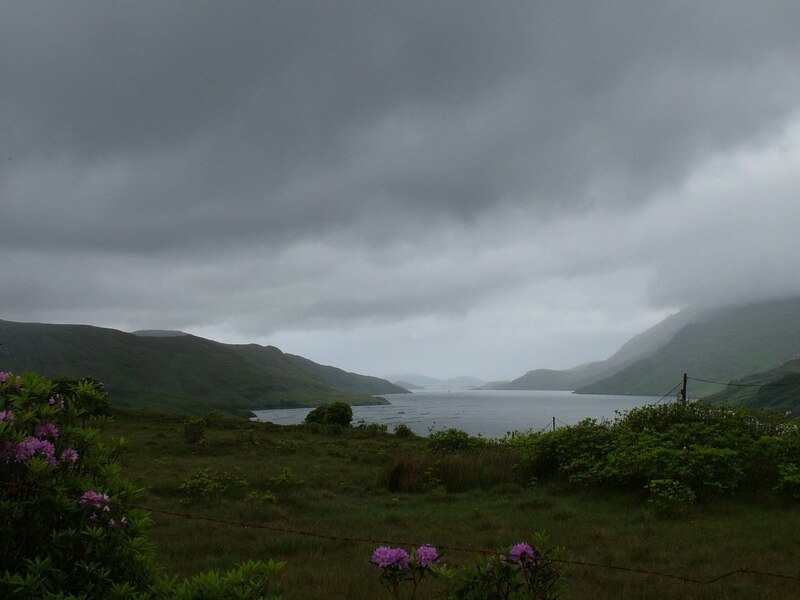 En route to Kylemore Abbey, which is in Connemara National Park, Bob and I experienced a sense of splendid isolation given the sight of small loughs cradled in valleys, rugged peaks, windswept bogs and eventually, ocean inlets where protected harbours nestled in between the headlands. We passed through innumerable quiet communities, endless rock-strewn farm fields marked by stone hedgerows, and vast sections of peat bog where bricks of peat had been piled to dry in the sun. The raw beauty and constantly changing moods of the landscape captured our hearts and minds. One sweeping vista after another took our breath away. The scenery is, in fact, about as good as it gets. 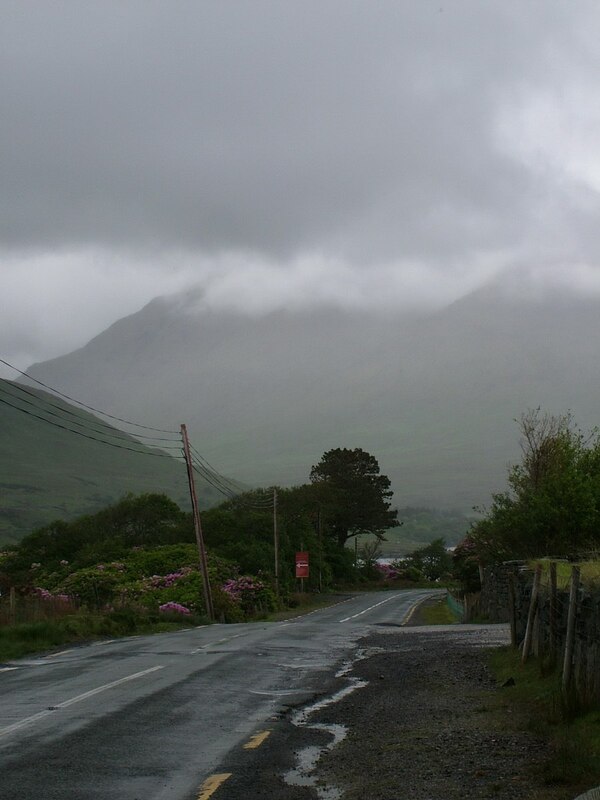 Driving to Leenane from Cong and on towards the coast, we were totally enamored with the rolling Maamturk and Partry Mountains even as they were shouldered with a heavy blanket of low-hanging clouds. The same could be said for the Twelve Bens, the slopes of which shelter Kylemore Lough. Bob and I promptly alit from our car to snap some moody pictures of the quiet lake when we arrived on its shores. Benbaun, one of the Twelve Bens or Twelve Pins Mountains, is the highest mountain in the range at 2,400 feet (730 m), though to look on it the day we visited, you would never know. 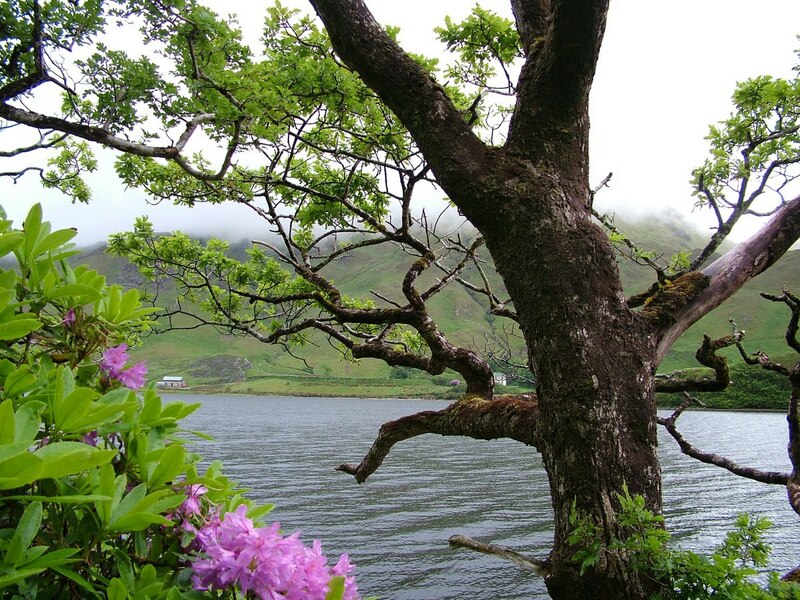 The mystical atmosphere of the sparse settlement at its base was enhanced, however, by a diaphanous cover of clouds and enriched by the abundant growth of purple rhododendrons that spilled up the slopes behind the Abbey and all around the lake. It was so beautiful. Kylemore Lough, or Lough Pollacappul as it is otherwise known, is where we found Kylemore Abbey nestled in the woods at the base of Druchruach Mountain on the far shore of the reedy lake. Druchruach or “Black Stack” takes its name from its unusual black stone that separates it from all other mountains in the area. 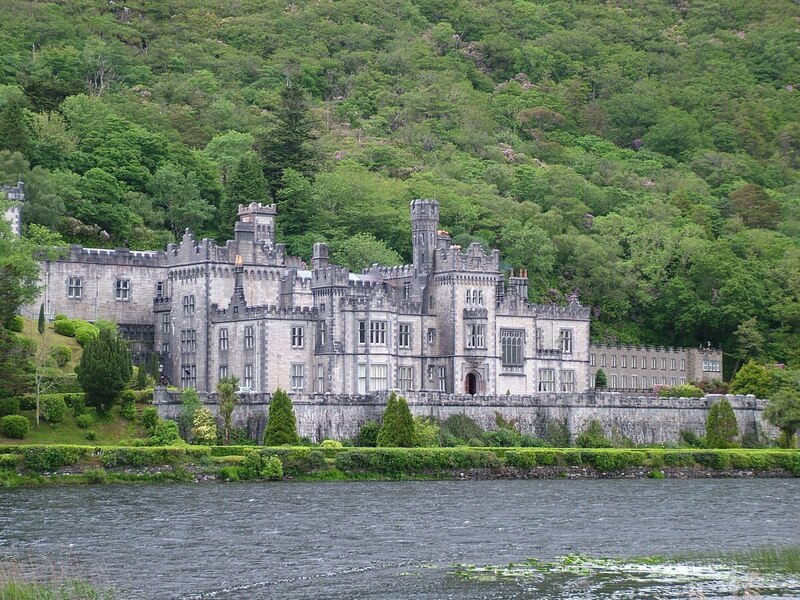 The romantic baronial castle was built by Mitchell Henry starting in 1867 as a tribute to his dearly beloved wife, and the surrounding mountains and loughs are steeped in its history. 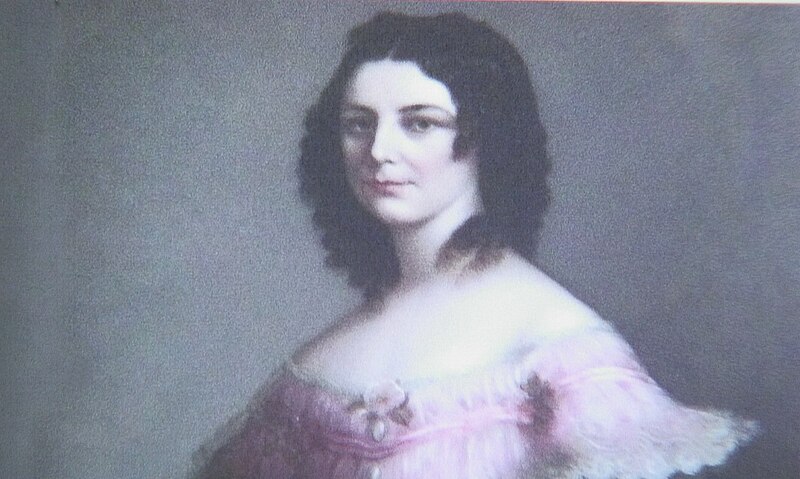 Mitchell and Margaret Henry first fell in love with Kylemore in 1849 while on honeymoon in Connemara. The rugged beauty of the region enchanted Margaret. 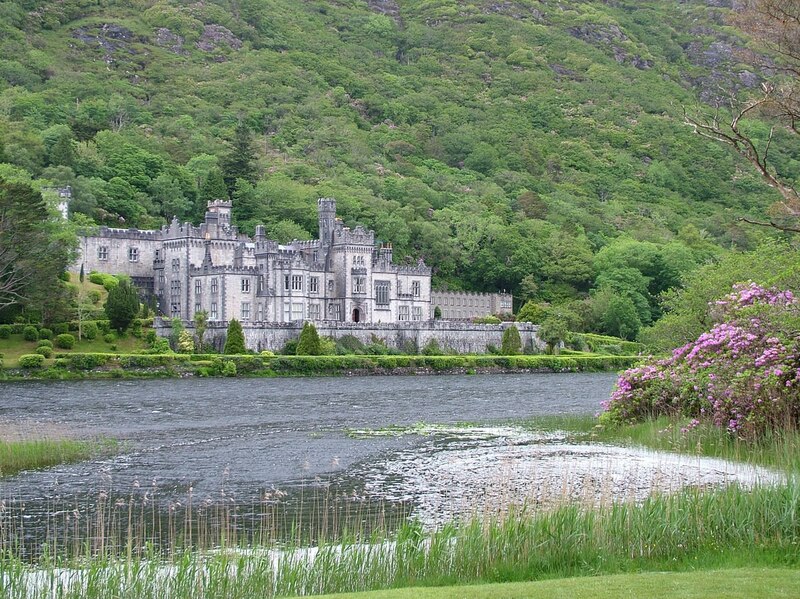 When Mitchell inherited a fortune from his father years later, he returned, bought 15,000 acres, and created Kylemore Castle as a gift for his wife. Mitchell, in his own right, was a business tycoon from Manchester , England, and later a Galway MP. The lakeside castle is a romantic Gothic Revival fantasy set amidst a huge area of moorland that had also been purchased by the Henry’s. The sprawling edifice took one hundred men four years to complete, and it houses over seventy rooms including 33 bedrooms, 4 bathrooms, 4 sitting rooms, a ballroom, billiard room, library, study, school room, smoking room, gun room and numerous offices and residences for domestic staff. It is massive! Mitchell even went so far as to have the Castle lit by electricity generated from a hydroelectric generator and provided guests with the use of tennis courts and even Turkish baths. 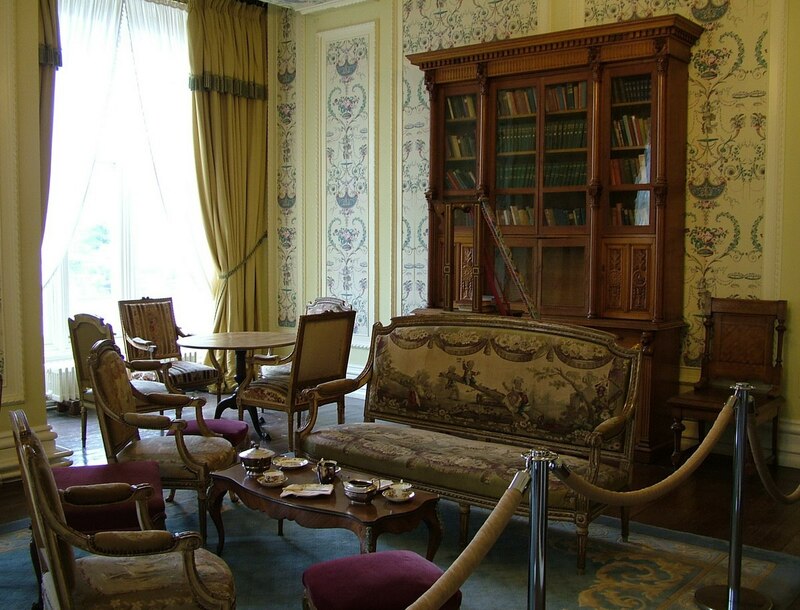 Touring the interior of the castle gave us some sense of the grandeur enjoyed by the Henry family while they lived there, but we soon came to realize that the space had gone through various alterations over the decades. Benedictine Nuns took ownership of the Castle in 1920 and transformed it into an Abbey and an international boarding school. What led to that was Margaret Mitchell’s untimely death in 1874. Margaret’s happy life ended tragically when on holiday in Egypt, an exotic and popular destination in Victorian times. In November of that year, while cruising on the Nile River, she contracted dysentery and died 16 days later leaving her husband and their nine children heartbroken. She was young and beautiful at only 45 years of age. 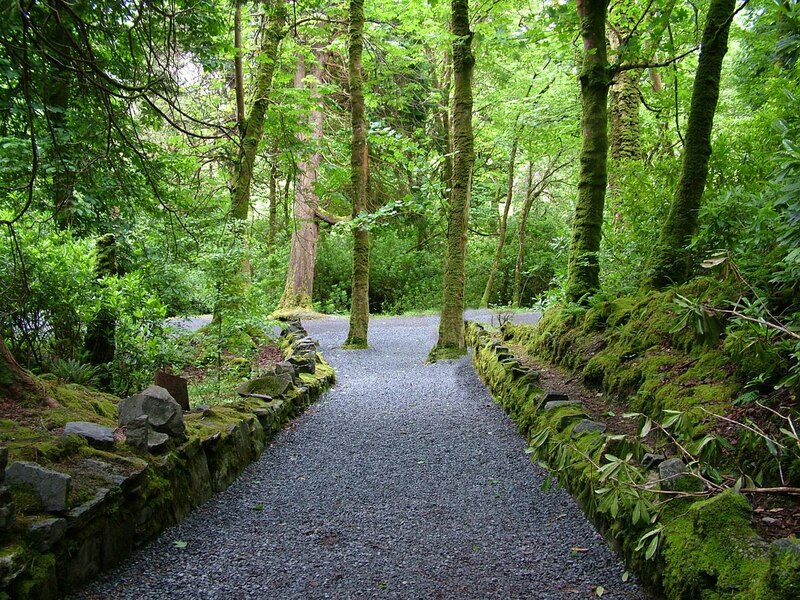 A short stroll on the leafy walkways to the east of the Castle brought Bob and me to a miniature cathedral that Henry had commissioned to be built in Margaret’s memory after her carefully embalmed body was brought back to her beloved Kylemore. 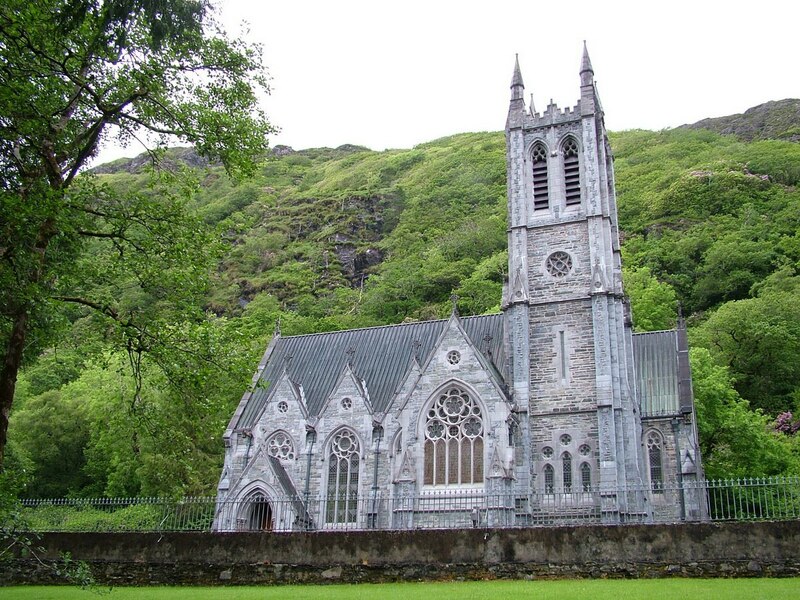 The Neo-Gothic church was built in the style of a fourteenth-century English Cathedral. Its limestone exterior has visual links to both Bristol and Norwich cathedrals, and the gargoyles, although usually fierce looking sculptures, in this case were designed as angelic creatures telling of peace. The Church embodies an almost feminine aspect with its interior of light Caen sandstone. 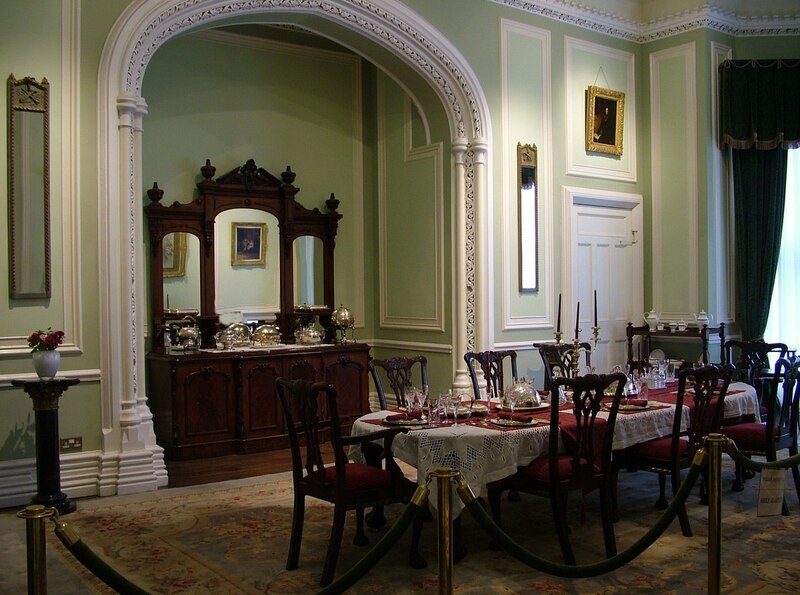 It is the backdrop for beautiful marble pillars in four different colours from the four provinces of Ireland. The carvings of the interior are breathtaking. Graceful and feminine, the delicately-shaped flowers and birds of beauty are incised in the sandstone, an homage to the grace and charm of Margaret. 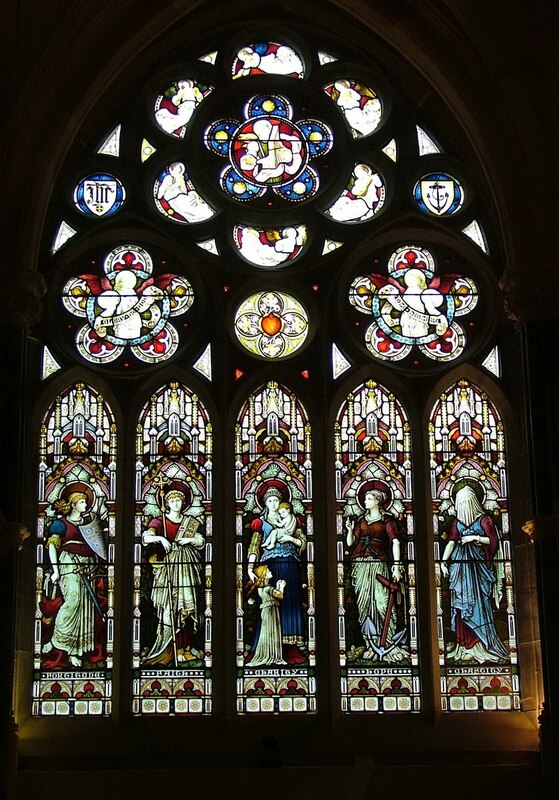 The superb stained glass window reminds visitors of the five graces of Fortitude, Faith, Charity, Hope and Chastity. 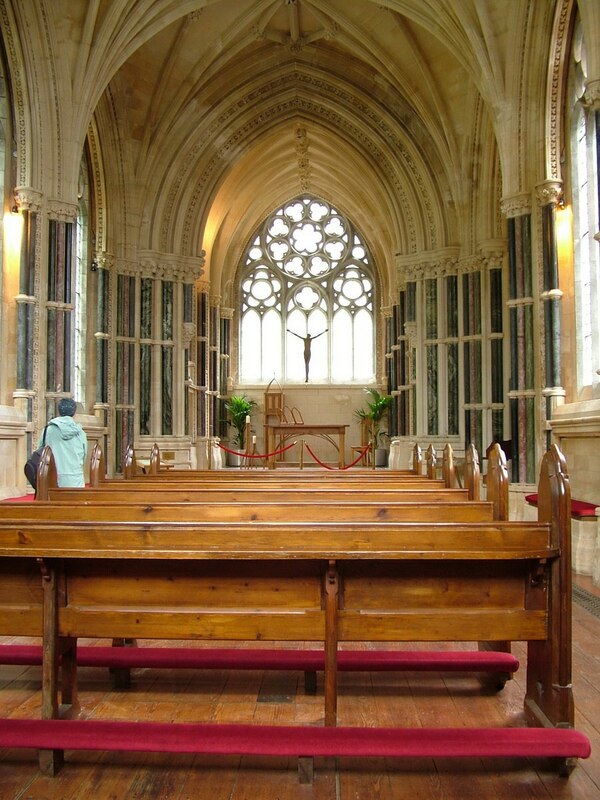 Originally, the Gothic church was a place of Anglican Worship. Henry left Kylemore for England soon after the deaths of his wife and later, one daughter, and went on to sell the Castle in 1903 to the Duke and Duchess of Manchester. The lavish lifestyle enjoyed by that couple ended abruptly in 1914 upon the death of the Duchess’ father who had provided financing. In combination with their own gambling debts, the couple was forced to turn the property over to a London banker. 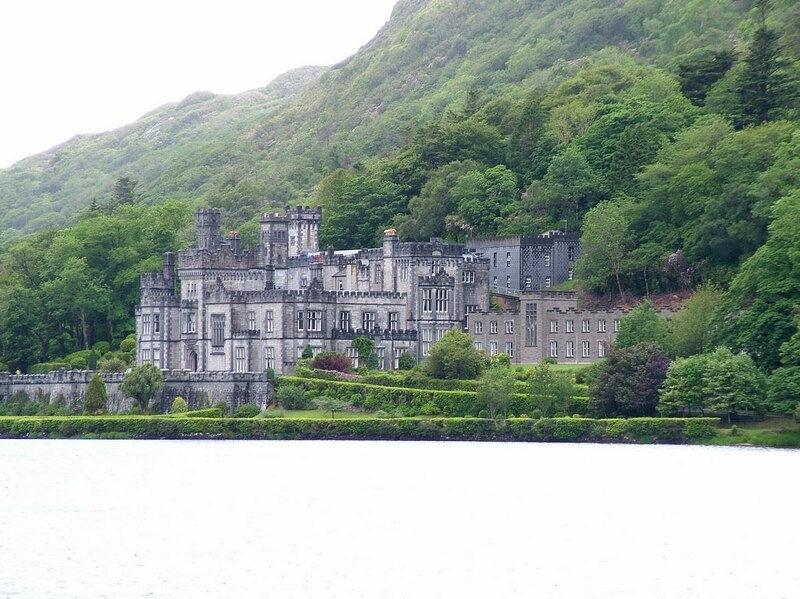 It was from the banker that the Benedictine nuns bought Kylemore Castle. They were fleeing from Ypres in Belgium during World War I. 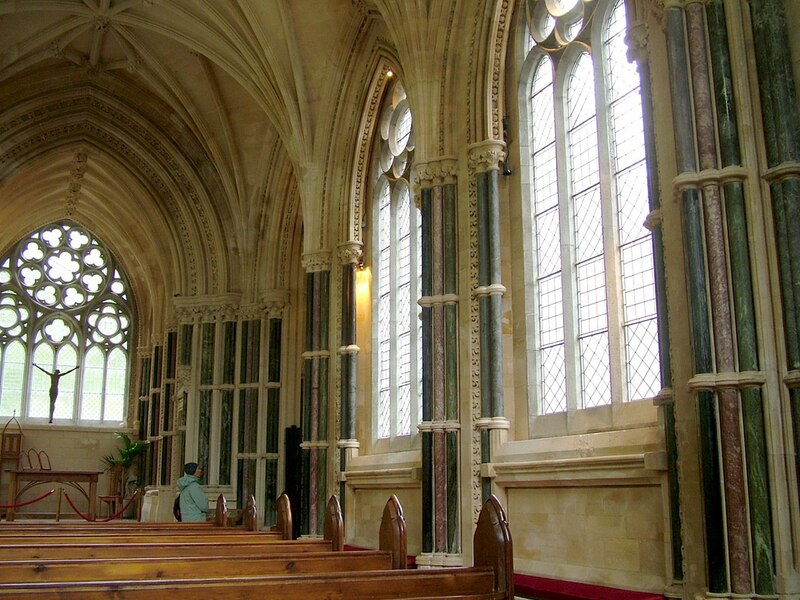 The nuns transformed the Castle into their refuge, and the “church in miniature” was re-dedicated as a Catholic Church, but it will always remain Henry’s tribute to Margaret and Margaret’s memorial. Bob and I wandered back over to Kylemore Abbey, as the Castle became known, with a different perspective on the place. For many decades, starting in 1923 with 30 pupils, the nuns ran their boarding school there where they offered education to Catholic girls from abroad and made provision for local girls to attend a day school. They had modified some of these same reception rooms into classrooms and bedrooms into dormitories. 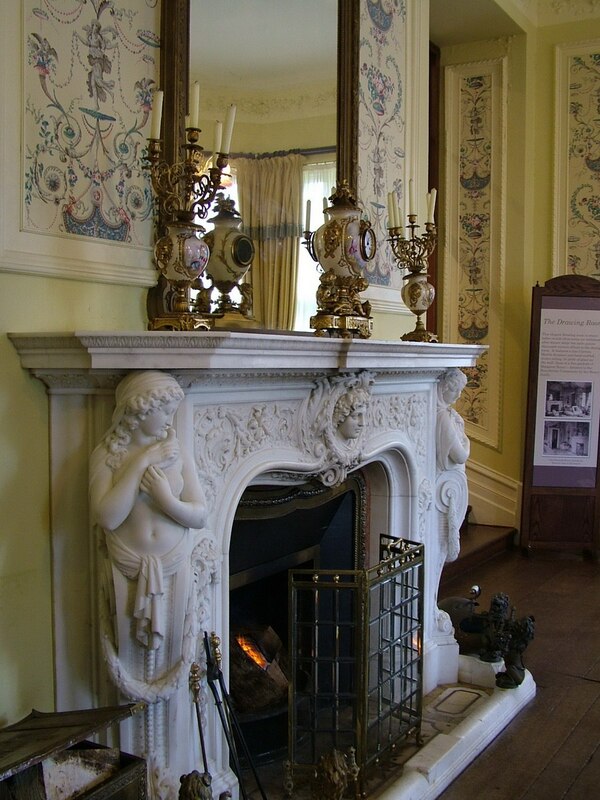 Over time, the nuns lovingly restored or conserved the historical features of the estate and eventually opened it to the public so others could experience the Victorian atmosphere of the Abbey. 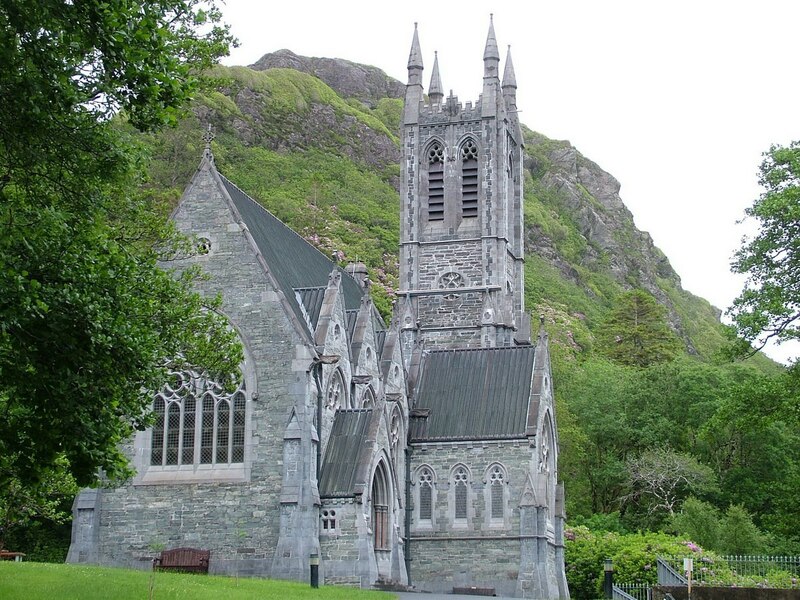 Although the school was forced to close in June 2010, the Benedictine Nuns still remain in residence at Kylemore where they go about their daily work and prayers. They busy themselves by running the estate farm, making and decorating pottery, and generally offering a space for monastic hospitality, learning and music education. The little church, because of its excellent acoustics, is host to music recitals, poetry readings and performances by choirs from around the world. 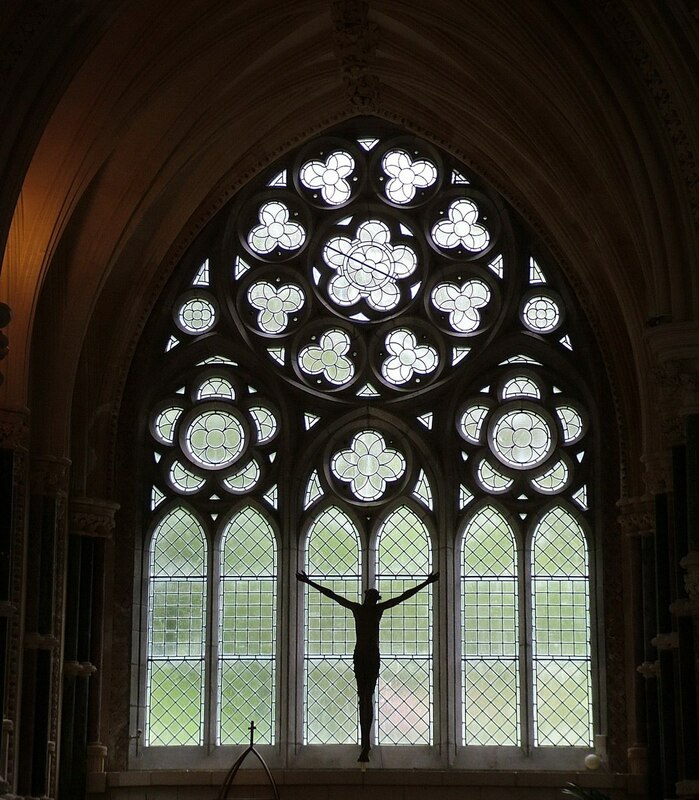 Bob and I developed a whole new appreciation for the lavish interior of the Abbey, and as we quietly walked its hallowed halls, we became absorbed in the aura of peace and tranquility and felt a sense of spirituality. 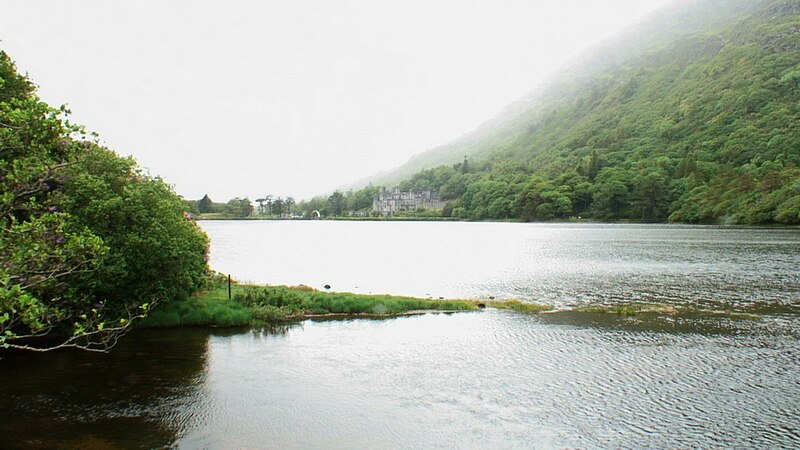 The turreted grey structure that is Kylemore Abbey has been, for more than a century, the quintessential romantic 19th century Irish castle, and its fairytale history includes accounts of tragedy and romance, royal visits, gambling debts and secret hideaways during Ireland’s troubled past. It is no wonder that Bob and I took time out of our day to explore and learn about the Abbey. So much for the 12-noon ferry.